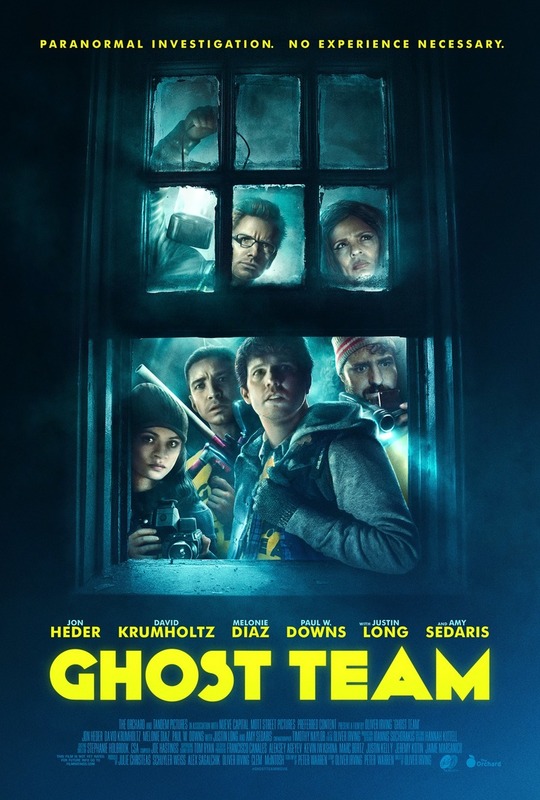 Ghost Team DVD release date was set for October 18, 2016 and available on Digital HD from Amazon Video and iTunes on August 30, 2016. Bored with the rigors of his daily routine, a copy shop owner finds himself increasingly looking for an excuse to escape the tedium of his career. When an old man enters his store and begins talking about his home being haunted, the copy shop owner sees this as an opportunity for him and his friends to make a positive change in their lives. They purchase equipment and begin staking out the home in an attempt to audition for a popular ghost-hunting reality show. Unfortunately, their eagerness to be on television is only matched by their incompetence, leading to many complications.